For use with these Brother printer and all-in-one models: HL-L3210CW, HL-L3230CDW, HL-L3270CDW, HL-L3290CDW, MFC-L3710CW, MFC-L3750CDW and MFC-L3770CDW. 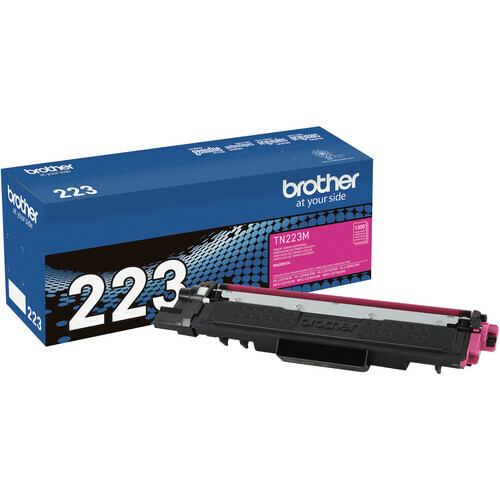 This magenta TN223M Standard-Yield Toner from Brother works with other toner cartridges to output vibrant and detailed documents on select Brother printers. It is rated for 1300 pages. Box Dimensions (LxWxH) 15.35 x 6.2 x 4.15"